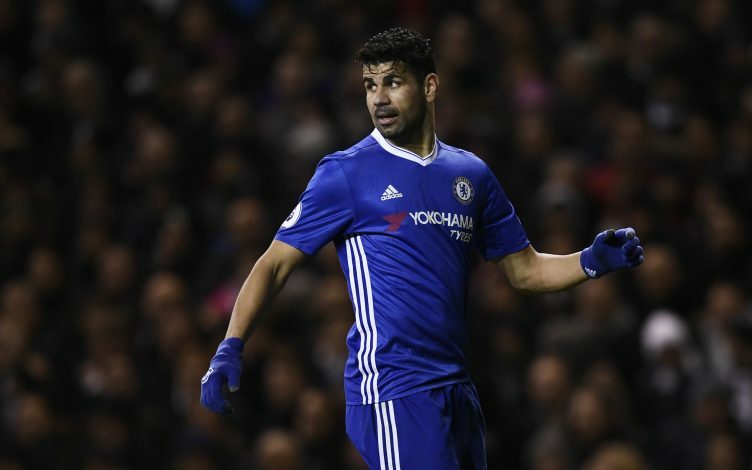 Chelsea striker Diego Costa’s relationship with the English Champions has been as good as finished since Blues’ boss, Antonio Conte texted the Spaniard that he wasn’t in his plans for this season. Costa, who scored a tally of 20 goals last season, helped Chelsea secure the Premier League title in Antonio Conte’s debut season at the club. However, the 28-year-old has since then moved to Brazil, his birth country, and accused Chelsea of treating him ‘like a criminal’, refusing to rule out legal action. According to Daily Mail, his relationship with the Italian manager seems to be in an dreadful state. And it was also claimed that the Spanish striker is still close to former manager, Jose Mourinho, who brought him to Stamford Bridge in 2014. Costa revealed that the United boss has been in contact with him over the difficult summer. It was reported that the Blues’ forward wants to make a switch to his former club, Atletico Madrid, as he looks to get regular match time. Costa was part of Atletico’s squad from 2010 to 2014, and is now keen to go back to Wanda Metropolitano.